Authorities say tightened security at Columbine High School and about a dozen other Denver-area schools is related to an FBI investigation. A spokesman for the Jefferson County Sheriff's Office, Mike Taplin, said Tuesday's school lockdowns involved an FBI investigation but he couldn't provide any details. The sheriff's office previously said the lockdowns were prompted by its investigation into what appears to be a credible threat possibly involving the schools. A message left for an FBI spokeswoman wasn't immediately returned. School officials say the doors were locked but classes were continuing at Columbine and two other nearby schools and at other schools farther away in the same district. The lockdowns come just days before the 20th anniversary of a mass shooting at the school that killed 12 students and a teacher. There was no immediate indication whether there was any connection to the anniversary. 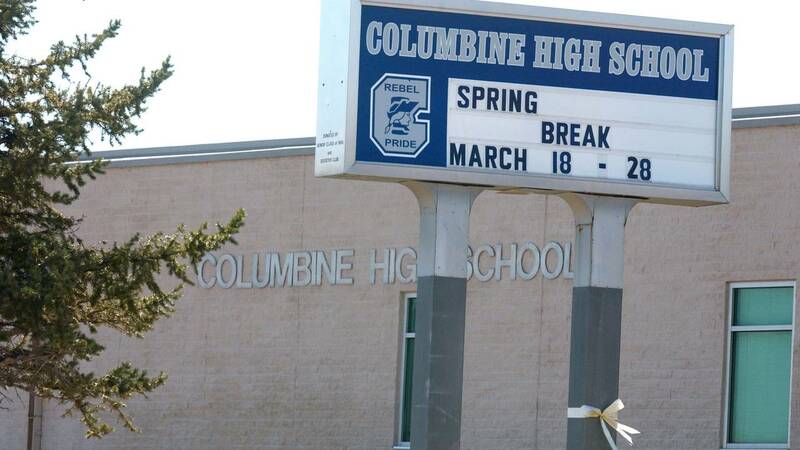 Columbine High School and about a dozen other schools are on lockdown as law enforcement says it is investigating what appears to be a credible threat possibly involving the schools.